As a way of recognising our everyday heroes, GO Outdoors are increasing your extra discount by a further 5%. For 10 days only, Blue Light Card members save an extra 15% off the Discount Card price. Get all your outdoor clothing and equipment online or in over 60 stores nationwide. Log in for details on how to claim this offer. Terms and conditions apply. GO Outdoors Increased Offer for a Limited Time Only - 12th – 21st May 2018. 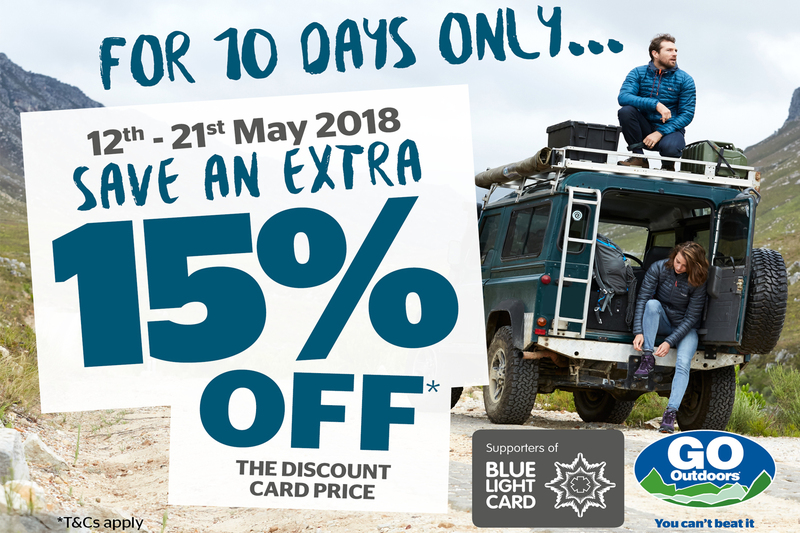 The offer is available both online and in store, details of which can be found on the GO Outdoors offer (which goes live on the 12th May 2018). Enjoy even bigger discounts throughout May* at LEGOLAND Windsor Resort, THORPE PARK Resort, Chessington World of Adventures Resort and Warwick Castle via Blue Light Card. From 30th April to 24th May 2018* experience more for less at some of the UK's top attractions! Find out what's on at an attraction near you. You can book these and other attractions via www.bluelightcard.co.uk or via our mobile app. 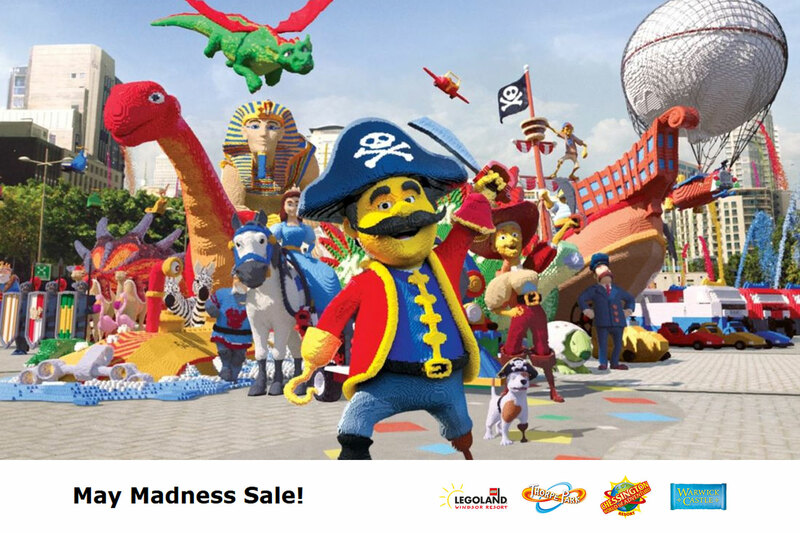 Enjoy even bigger discounts throughout May* at LEGOLAND Windsor Resort, THORPE PARK Resort, Chessington World of Adventures Resort and Warwick Castle. Be one of the first to see Chessington's 4 new Amur tigers and ride Tiger Rock! Opening 5th May 2018, Tiger Rock is an exhilarating log flume in NEW Land of the Tiger. Get a unique view of the majestic Amur Tigers, before descending a misty waterfall drop, right through the centre of a giant tiger's head carved into the imposing rock. THORPE PARK Resort is overrun by Walkers and there is but one goal: survive. Making it to the sanctuary of the Safe Zone is vital for salvation. Located at the centre of the Island, navigate your way to the safety of the indoor bunker - but be warned. All signs point to an imminent invasion of Walkers, so keep your head down and move quickly for your best chance of staying alive. We will see you at the Safe Zone…For the first time ever, experience The Walking Dead: The Ride. Those who ride…survive! Experience a full day out with more than 1,100 years of jaw-dropping history, magic, myth and adventure at Warwick Castle! Do you have Instagram? Hey, so do we! We have increased our social presence to include Instagram, on top of our already existing Facebook and Twitter accounts. Members can now follow us to catch up with the latest high street and online discounts we provide, as well as some of our on-going favourites. We will also be including member feedback, real life saving examples from our members and behind the scenes of Blue Light Card as a company. The latest version of the Blue Light Card app is now available following our most recent update. If you are not already familiar with the BLC app, it can be downloaded on both the Apple App Store and Google Play Store for free. It offers an easy way to find our latest offers and deals that you can receive by being a member, all from your mobile phone. If you are wanting discounts in store, why not get the physical Blue Light Card, costing just £4.99 for a 5-year membership, allowing you to take advantage of our offers and discounts. 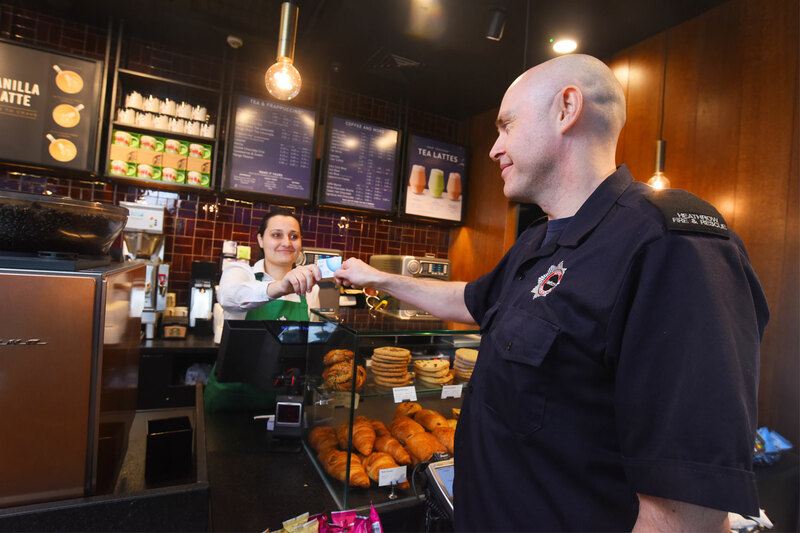 Starbucks has today joined forces with Blue Light Card to give back to everyday heroes, including the NHS, fire fighters, police officers and the Armed Forces, by offering a 10% discount off their total bill* from 14 March 2018. 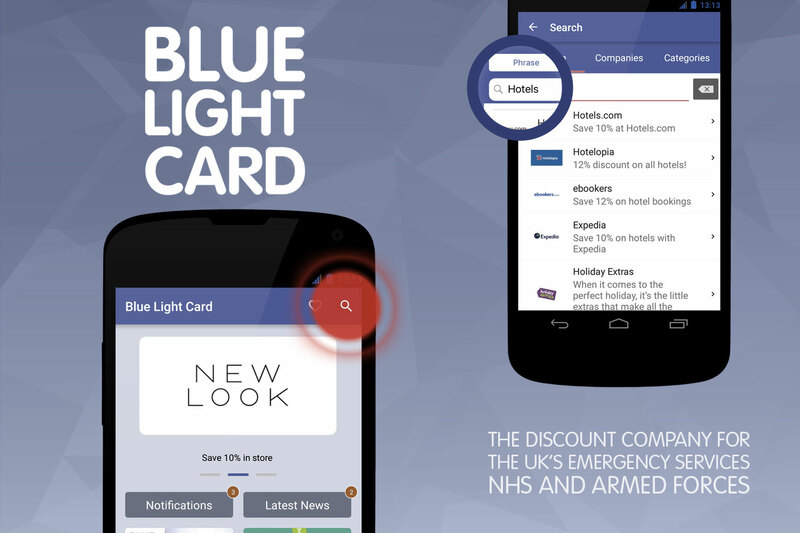 All members of the UK Emergency Services, NHS and Armed Forces can sign up for a Blue Light Card, with the Blue Light Card costing £4.99 for a 5-year membership. Card members can then enjoy their 10% discount with friends and family at all Starbucks stores across the UK and Ireland, by simply showing their card, or proof of application, at the till point. Sign up for a Blue Light Card today to take advantage of the 10% discount off the total bill at Starbucks from 14 March 2018. 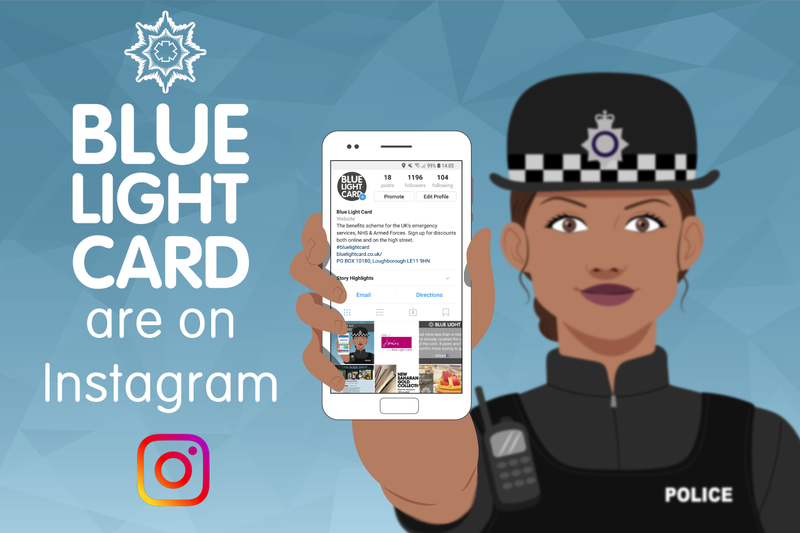 To sign up to Blue Light Card, visit: https://www.bluelightcard.co.uk or use its free mobile app for iPhone and Android.